Hey today we are going to share a beauty device / gadget that can help our skin to absorb skincare ingredients faster and deep into our skin. 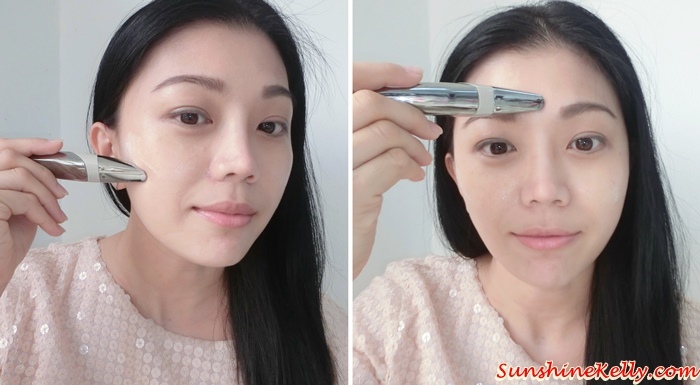 I found this innovative Pobling Mini Ion Applicator at Hermo Malaysia online shop and it's a skincare efficacy booster especially when it comes to serum and moisturizer or even eye cream application. I know sometimes we are too tired or busy when we apply our skincare we tend to skip the massage steps. So this is our rescue, a device that makes life easy at an affordable price. Here is the Pobling Mini Ion Applicator (grey) that is made in Korea and is the first of its kind. 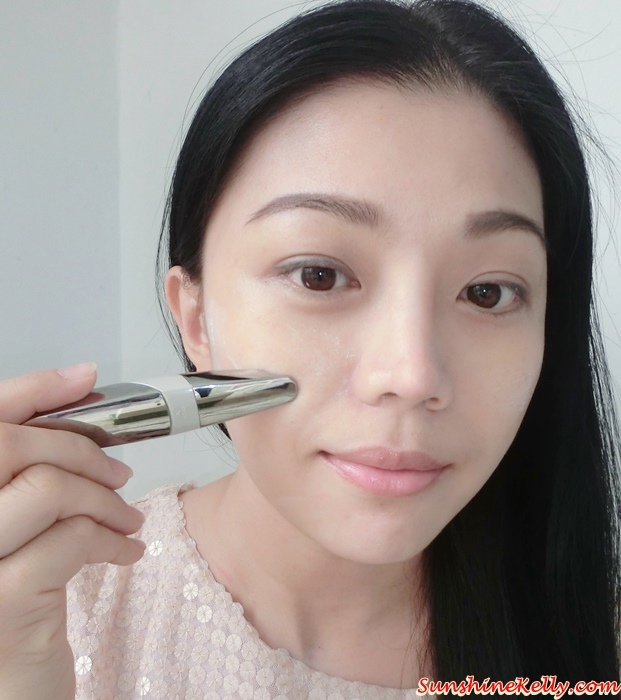 Using this Pobling Mini Ion Applicator is more efficient and hygienic than applying skincare products with our bare hands. This is an innovative product with Galvanic Ion that uses the principle of ionization Pobling Mini Ion Applicator with the nature of same poles pushing each other. Basically it ionizes the nutrients to help it be more easily absorbed by the skin. 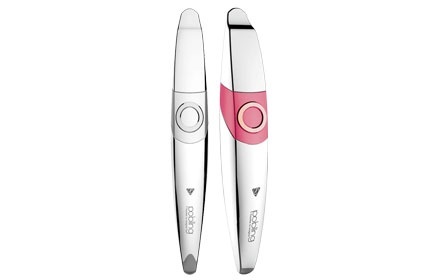 The applicator when touches our skin it will vibrates gently to help deliver cosmetic nutrients deep into the skin effectively and the same time acts a mini face massager. Thanks to Hermo for introducing this beauty device to me. They are the first in the market to bring this into Malaysia. I have been using it for more than a month not only on my face but my eye areas and neck too. Remember to take care of our neck areas before it’s too late. Here I am going to show you how it works... You need a AAA battery for the device to work. Please tale note that the Pobling Mini Ion Applicator does not come with the battery ya. First, pull to open the device and you will find there is a place for you to insert the battery. Then join back together and this Pobling Mini Ion Applicator is ready to perform. As usual apply skincare evenly on your face, eyes and neck. Gently hold the bottom of the applicator with your palm and place the head of the applicator on your skin. The applicator starts to vibrate when it contact with the skin. The vibration sensation is very mild and gentle even its suitable for sensitive areas like eyes. For face use it to massage gently on skin for 5 minutes by moving from the outside to inside. This will helps to penetrate the product faster into deeper layer of the skin and with the upward motion will helps to firm the skin. For the eyes it’s very relaxing and I love it especially when my eyes are tired with dark circle and puffiness. 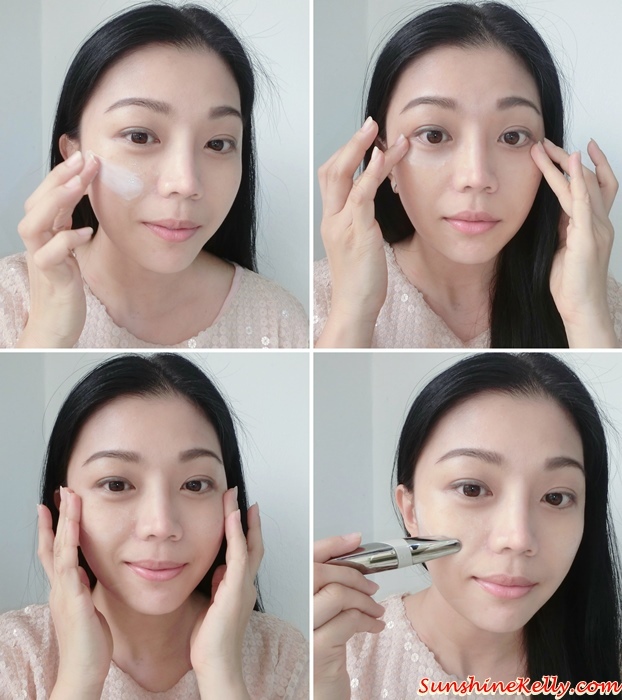 I apply the eye serum then using the gentle dabbing motion around the eyes areas to improve the blood circulation and also reduce the puffiness. It’s like an eye massager as well. Last but not least is the neck areas, I am now using all my anti-aging and anti-wrinkle serum and cream on my neck too. I have a few deep wrinkles that I try my best to reduce the appearance. Neck is a very sensitive and gentle area so usually I will apply the serum and use the Pobling Mini Ion Applicator to let it vibrate along the wrinkles hopefully the serum and cream will penetrate faster and works better. The device is easy to maintain and do not need servicing. After every usage just used tissue or wet tissue to wipe it clean and keep in cool dry place. If you are not using it so regular or on daily basis it’s better to take out the battery. Overall the Pobling Mini Ion Applicator is easy to use and effective at an affordable price. The design and size are compact and slim. It’s kind of handy and also suitable for travelling too. The only thing is that the device is not waterproof and also there is no control button like on and off or the level of vibration. Please take note: The Pobling Mini Ion Applicator is not waterproof but you can clean it with a tissue or wet tissue. It also requires 1x AAA battery (not included in package) to function. I know we love shop online because it’s convenient and got lots of bargains going on from time to time. Hermo.my is one of the website that you should check out when you want to look for your beauty and cosmetics products. It is the leading beauty e-commerce website in Malaysia that has partnered with more than 200 brands locally and internationally. Oh yours is different in color :D i just love how pocketable it is! They should make a big full face one then no need to waste time to cover bit by bit. not that expensive. I don't have any applicator. I should add this to my year end festive gift list. Looks like a great product for skin care solutions. It is really portable and easy to bring everywhere. The applicator looks a little small to be used on the neck haha, But I guess on the face it's ok as it can get to those hard to reach areas. yeah..it's interesting product from korea. the promo now are so reasonable . worth to have it for better skin perfection !! A nifty little tool that all of us should use. Except that I'm lazy to roll it all over my face cos the head looks so small. Omg, for 68 this month? YES! I read so much about it that i think i need one too. This sounds very useful and so compact that easy to carry anywhere even when travelling too. ion applicators? sounds like fun, and the price is pretty reasonable too! Wow, this is very useful tools and easy to carry on. Thank you for the sharing your review. I saw this from other blogger's post. It acts like face massage isn't it? 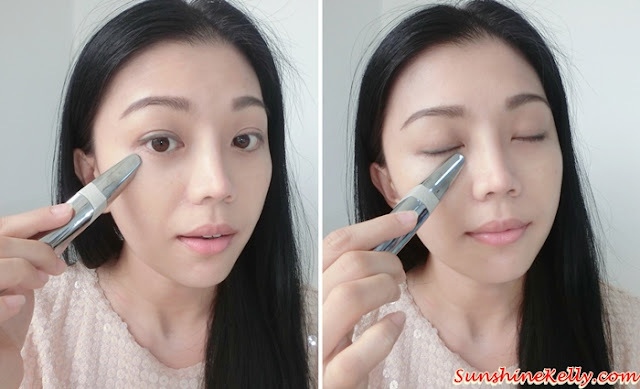 Pobling Mini Ion Applicator sounds useful and easy handle ! What an interesting contraption! Err I mean device! Thinking of getting something like that too! This is new for me. Will buy one to try. Thanks. this is really cool, i wanna try this at home. i think they used this in my facial place and it's really nice and comfortable to use.